Director, Institute for Rural Journalism & Community Issues, University of Ky. The Washington Post's Feb. 21 adoption of a nameplate slogan, "Democracy Dies in Darkness," is only the most prominent example of newspapers adding a promotional explanation of what they do or what they stand for. 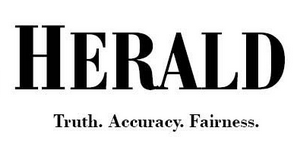 Two papers from Warren Buffett's BH Media Group have similar slogans: The Bristol Herald Courier says it offers "Truth. Accuracy. Fairness" and the Omaha World-Herald says it is "Real. Fair. Accurate." Such slogans or mottoes are a good idea, at a time when the very idea of independent, professional journalism is under attack from the highest levels of government and widely viewed but partisan media. Newspapers' printed circulation is down, but they still have broad audiences and provide most of the accountability journalism that the writers of the First Amendment had in mind. Slogans and mottoes can not only remind the public of newspapers' importance, but remind newspaper staff of ideals and principles they should follow. Post executive Editor Martin Baron told WWD: "We spent the last year trying to come up with a motto or slogan. It well predated the election, and we were trying to come up with some words that would capture the essence of our mission in a way that you might even put it on a T-shirt. We had a lot of ideas and it was all over the place. We probably had 500 ideas, I think, and we debated them endlessly. Then at some point, a decision was made." But not by Baron; owner Jeff Bezos made the call. Baron told me he thought the slogan was "a little dark." But it displays nicely in the reverse type the Post uses on its mobile site. The line is "one that has been used periodically in the past" by Bob Woodward, the Post associate editor who as a reporter with Carl Bernstein broke open the Watergate scandal, The Hill reported. Baron's "first principle" for his staff is "Tell the truth as nearly as it may be ascertained." The Post's motto appears in reverse type below the nameplate on its mobile site. The Post's slogan brought to mind other newspaper mottoes or slogans (here's the difference), many at rural or community newspapers. Some, like most dailies' slogans, are more marketing-oriented. But others speak more to the journalistic mission and are less slogans than mottoes, which describe motive and intent. For example, the Mason Valley News in Nevada is "The only newspaper in the world that gives a damn about Yerington." Other papers have used similar slogans from time to time, and still may. It's a natural; most newspapers' reason for existence is to publish news of their locality, and in most cases they own that franchise. The best slogans are those that serve not only as a slogan for the public, but a motto, perhaps implicit, for the staff. One of my favorite slogans is that of The Blackshear Times in Georgia: "Liked by many, cussed by some, read by them all." The Amarillo Globe-News still uses a saying coined by publisher Gene Howe, who died in 1952: "A newspaper may be forgiven for lack of wisdom, but never for lack of courage." Some slogans or mottoes are implicit, as in the simple warning of hard-nosed editorial policy at the Aspen Daily News: "If you don't want it printed, don't let it happen." Others are also blunt and simple, like that of The Star in Johannesburg, South Africa: "Tell it like it is." And there's one that conveys the same principle, but in flowery fashion. It was written by Lord Byron (1788-1824): "Without or with offense to friends or foes, we sketch your world exactly as it goes." Andrew Jackson Norfleet adopted it when he founded The Times Journal in Russell Springs, Ky., which still posts it on its editorial page. The National Post, in Toronto, has a motto ready for President Trump's claim that journalists fabricate things, or lie: "The news. You have our word on it." The Irish Independent has a good slogan for a polarized time when citizens gravitate to sources that confirm more than inform: "Before you make up your mind, open it." 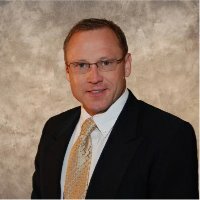 Remote medical care via telecommunication has emerged as an increasingly promising solution for patients in rural areas, but telehealth still faces significant roadblocks to becoming mainstream, Dr. William England, Director of the Office for the Advancement of Telehealth in the Federal Office of Rural Health Policy, writes for Rural Health Information Hub. Technology was the first speed bump telehealth faced: While video conferencing was first possible in the 1960s and '70s, the equipment was too expensive. Equipment became more affordable and reliable in the 1980s, but bandwidth on old-fashioned copper phone wires was a problem. That cleared up as fiber-optic cable began to replace copper, but then telehealth hit the still-ongoing problem of state-based licensing. Varying state requirements for physicians make it more complicated to treat a patient in another state by video conference. If the patient is in one state and the doctor is in another, in which state is the treatment taking place, and whose laws take precedence? Another ongoing problem that first arose in the early 2000s is reimbursement. "That remains a 'chicken and egg' problem: Payers only cover standard practice, but practitioners won’t make telehealth standard practice until receiving reimbursement for it," England writes. But there's hope: "The process of bringing telehealth into mainstream medicine accelerated recently as some states have adopted parity rules that require equal reimbursement for telehealth and in-person medical services. Insurers have also discovered telehealth is a marketable benefit. For programs like Medicaid or the VA that cover patient travel costs to medical appointments, the adoption of telehealth has been much faster because the savings are obvious." The Centers for Medicare & Medicaid Services must expand its definition of telehealth for the process to work more efficiently, writes Mario Gutierrez, executive director of the Center for Connected Health Policy’s National Telehealth Policy Resource Center. CMS "limits the definition of telehealth to only the use of live video, which is its most inefficient form. Rural elderly could benefit from being around their families in their own home and community if they are monitored remotely but instead, because that remote home monitoring is not reimbursed or allowed under Medicare, they have to move to an urban facility." Another problem with Medicare and Medicaid, Gutierrez writes, is that "a medical facility has to be located in a narrowly defined rural location designated by the Federal Office of Rural Health Policy in order to receive coverage for telehealth services. The unintended consequence is that this limits Medicare reimbursement for many rural beneficiaries. For example, if you are a Medicare beneficiary who resides in a rural area, and it takes you two hours to get to your healthcare facility in a town that does not meet the rural definition, then that facility cannot use telehealth to provide you care." Despite the logistical issues, England believes telehealth is on the brink of mainstream acceptance because providers and patients are changing the way they think about health care. "Telehealth is not a tool but a concept – a paradigm shift for both providers and patients. In the past, we have not chosen health plans or shopped for doctors based on their telehealth availability. The next generation that is growing up on smartphones will expect and demand telehealth, both as patients and as providers. The work of perfecting technology, negotiating regulations, and chipping away at reimbursement may soon pay off." 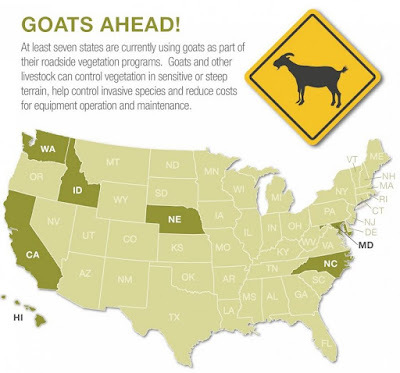 Goats can do more than provide milk and meat: their dedication to chomping grass and weeds, and their nimble feet, have earned them a spot cropping along road rights-of-way in at least seven states. It makes sense, Frederick Kunkle reports for The Washington Post. "Goats take pleasure and sustenance from their work in ways that people don’t. Goats don’t talk back, they don’t demand 401(k)s or pensions, and even their lunch breaks are productive. (They do get health care of a sort, at least in Maryland.) Sure, robots might do the job someday, too — but would you eat their cheese?" Doug Hecox, a spokesman for the Federal Highway Administration, told Kunkle that goats are "one of the greatest unsung heroes on the American highway." States that use goats to maintain roadways include California, Hawaii, Idaho, Maryland, Nebraska, North Carolina and Washington. They say goats are cheap and better for the environment than herbicides. Maryland began using them in 2009 when endangered turtles were discovered living near a highway under construction. Pesticides couldn't be used on that stretch, so the state brought in goats. They cost the state $6,300 per year, including vet bills, and the state is considering expanding the program. Several mild winters have Japanese beetles spread to new areas in the U.S., causing damage to crops and possibly increasing the need for pesticides. The infestation appears to be "at or near record levels in parts of the Corn Belt," Ashley Davenport reports for Farm Journal Broadcast. 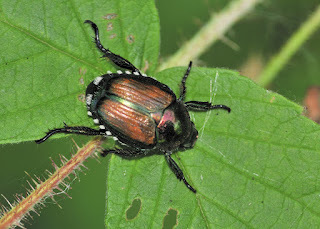 And Timothy Collins for The Daily Yonder reports unusually large numbers of beetles are damaging crops in western Illinois this year. Robert Wright of the University of Nebraska-Lincoln's Institute of Agriculture and Natural Resources reports the voracious beetles' "distribution has been increasing in Nebraska the last few years and they are being seen in corn and soybeans more frequently," as well as feeding on trees and shrubs. They were first identified in Nebraska only a few years ago, but have now spread across two-thirds of the state. The beetles, which first came to America about 100 years ago, can be found over most of the U.S., but have been slow to infest Western states. That's one reason their spread into Nebraska is worrisome. An unusually long pollination window for the state's corn this year will attract the insects and cause further damage to the crops, Davenport reports. 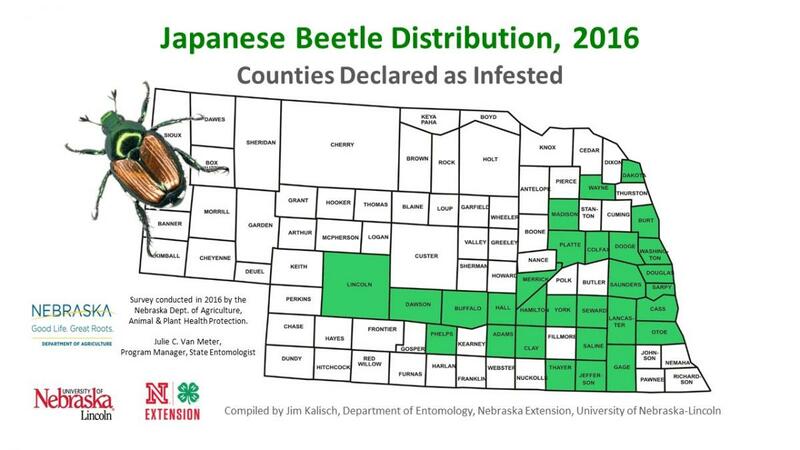 Farmers in Nebraska and elsewhere will be obliged to use more pesticides to deal with the beetles, which will be costly and could hurt the environment. But farmers feel they have little choice, Michael Cali reports for The Associated Press. Missouri farmer Bruce Arnold told him, "If you don't spray, you lose everything." Two Oklahoma subsidiaries of American Electric Power Co. are betting $4.5 billion on a project to pipe energy from—and eventually buy—a huge wind farm under construction in the Oklahoma panhandle, Paul Monies reports for The Oklahoman. 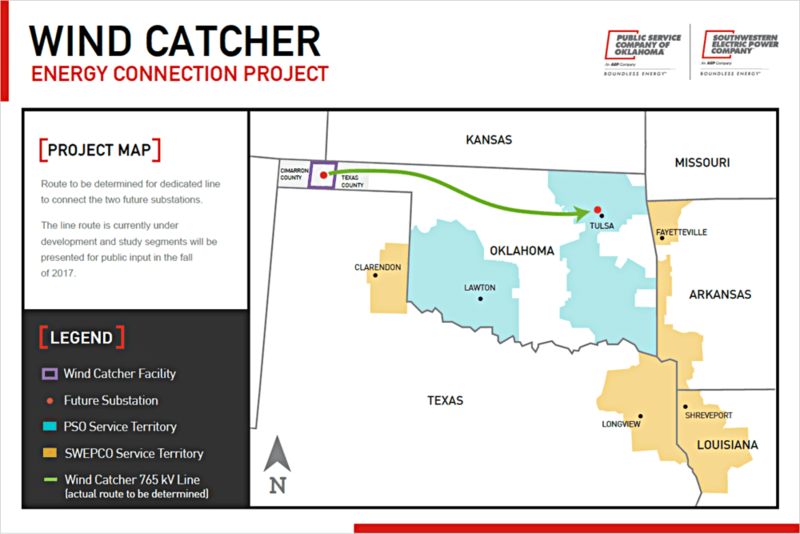 The 2,000-megawatt, 300,000-acre Wind Catcher Energy Connection facility in Cimarron and Texas counties will be the nation's largest when it's completed, probably in late 2020. AEP must get approval from federal regulators in Oklahoma, Arkansas, Louisiana and Texas as well as from the Federal Energy Regulatory Commission to purchase the plant, and is expected to file plans with them on July 31, Bloomberg News reports. As part of the deal, Invenergy will build the farm with GE wind turbines and own it for the first five years of operation, at which point the utilities will assume ownership. 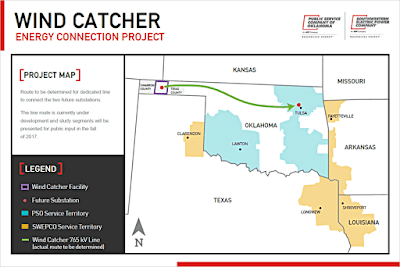 From the beginning, Public Service Co. and Southwestern Electric Power Co. will get a dedicated 765-kilovolt tie line to send energy to a substation in Tulsa, 350 miles away. PSO will get 600 megawatts for its 547,000 customers in eastern and southwestern Oklahoma, while SWEPCO will get the other 1,400 megawatts for its 530,000 customers in surrounding areas of Arkansas, Louisiana and Texas. PSO and SWEPCO told Monies that "the project will support about 4,000 direct jobs and another 4,400 indirect jobs during construction. It will have about 80 permanent jobs once it's operational. Local schools and counties in the Oklahoma Panhandle will receive about $300 million in property tax revenue over the life of the project." In Oklahoma, long a fossil-fuels hub, the shift to wind energy is significant. "With the additional wind capacity, renewable energy will make up 40 percent of PSO's generating capacity by 2021. The utility already has 1,137 megawatts of wind — 22 percent of total capacity — through various power-purchase agreements," Monies reports. It's also an example of how utilities wanting to grow are increasingly looking to wind and solar. As demand for electricity is weakening and the cost of building solar and wind farms is decreasing, utilities are buying the farms outright and passing the cost of acquisition on to customers, Bloomberg reports. Microsoft recently announced a plan to bring high-speed broadband to rural areas using the bandwidth from unused "white spaces" between television channels, but one columnist says it's a hustle for rural Americans. "Microsoft's plans aren't really about consumer internet access, don't actually focus on rural areas, and aren't targeted at the U.S.—except for political purposes," Harvard Law School professor Susan Crawford writes in her column for Wired. What's really going on, she says, is that "Microsoft is aiming to be the soup-to-nuts provider of Internet of Things devices, software, and consulting services to zillions of local and national governments around the world. Need to use energy more efficiently, manage your traffic lights, target preventative maintenance, and optimize your public transport—but you're a local government with limited resources and competence? Call Microsoft." But in order to get its digital products to urban customers using "smart city" devices and apps, Microsoft often must pay fees to licensed mobile-data carriers, Crawford writes, and Microsoft wants to sidestep the digital toll road by creating bigger avenues for unlicensed data transmission, hence: white-space technology. The white-space tech is sometimes called "super wi-fi" because, like wi-fi, it's unlicensed. But wi-fi is short-range because it operates at such high frequencies. White-space technology could use lower frequencies to reach much farther. Microsoft's plans for white spaces are far-reaching, and include other countries such as Jamaica, Namibia, the Philippines, Tanzania, Taiwan, and Colombia. But the company must get permission to use the tech in the U.S. because it won't be able to offer compatible devices at a low cost unless it can manufacture it at very large scales, Crawford writes. That large-scale manufacturing will only happen if U.S. customers are buying too. 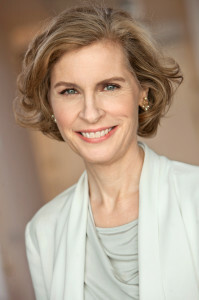 But Crawford argues that even if Microsoft is sincere, white-space technology can't solve rural America's internet woes because the available spectrum isn't wide enough to allow for "genuine, world-class internet data transmission to human beings in living rooms," she writes. "White spaces will definitely be another arrow in the quiver used by local fixed wireless operations, but they are no kind of substitute for actual great consumer internet access in rural areas." So why did Microsoft's announcement so heavily underline its usefulness in rural America? Crawford's guess is that publicly siding with rural areas will make the proposal politically bullet-proof, regardless of the project's true aims. Rural America is represented overwhelmingly by Republicans in the House and Senate, and the latter chamber is disproportionately rural because every state has two senators. Senate Republicans have so far failed to accomplish their stated goal of repealing and replacing the Patient Protection and Affordable Care Act, for many reasons. Might one be increased news coverage once they released their bill after weeks of secrecy? Most Americans get the bulk of their information about the issue from the news media, and local television news has a larger overall audience than cable and network news. Local TV coverage of the issue skyrocketed after Republican senators released the first version of their health-insurance bill, and it seems safe to presume that coverage in other local media did, too. 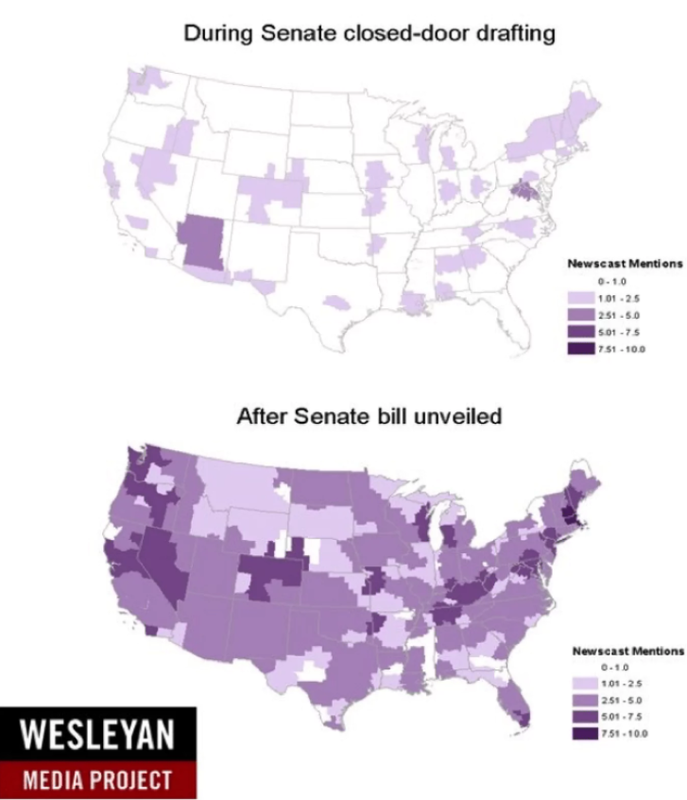 "That drumbeat of coverage in their home districts during Senate debates may have made some GOP senators think twice about angering constituents — including those of their own party," researchers Erika Franklin Fowler and Sarah Gollust write for The Washington Post. 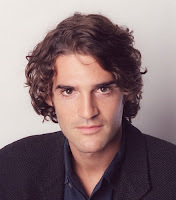 Fowler is an associate professor of government at Wesleyan University in Middletown, Conn.; Gollust is associate professor of health policy and management at the University of Minnesota. Researchers looked for key words in closed captioning of local news broadcasts in the 201 U.S. media markets from early March, when House Republicans released their bill. While no firm conclusions can be drawn from the increased coverage, Fowler and Gollust have a hunch that the coverage attention to parts of the ACA that were popular but hadn't been well-covered, such as a ban on denying coverage for pre-existing conditions. 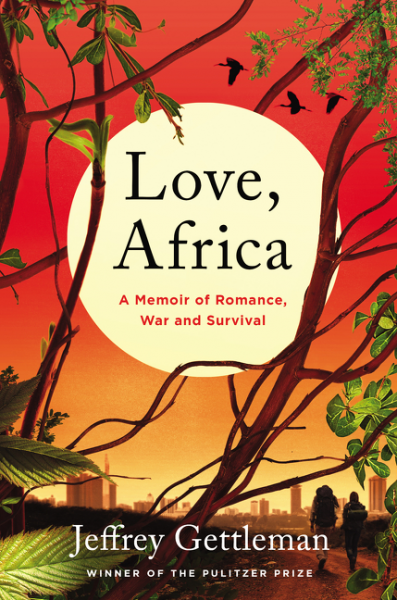 "If our hunch is right, and local media drew attention to what might be lost . . . then that would help explain why the ACA has grown more popular, and the AHCA less so, the more citizens learned what one did, and the other would not contain," they write. Fowler and Gollust caution that their research doesn't say how local TV covered the issue, but "a look at the drop in public approval of efforts to repeal the ACA suggests that local TV coverage cannot have made things easier for wary GOP senators." Nine years after the biggest coal-ash spill in U.S. history, more than 50 of the cleanup workers or surviving family members are suing Jacobs Engineering, the company tapped by the Tennessee Valley Authority to handle the cleanup. At least 17 workers have died, more are dying, and they say it's because of exposure to toxic chemicals they were never warned about. The spill happened in December 2008 when a dike broke at the TVA's Kingston Fossil Plant, "dumping 5 million cubic yards of sludge into the Emory River and across 300 acres of the Swan Pond community of Roane County," Jamie Satterfield reports for the Knoxville News Sentinel. Some workers were even exposed to radioactive material left over from work at the Department of Energy's Oak Ridge National Laboratory. The Environmental Protection Agency knew the sludge, and the fly ash it turned into when dried, was filled with dangerous metals and chemicals, but workers say Jacobs supervisors told them it was safe. "Their only decontamination unit at the end of the day was a bucket of water and a brush for their boots. When they asked for dust masks, they were denied, and when they complained of health problems, they were mocked," Satterwhite reports. Meanwhile, vehicles leaving the site were extensively decontaminated so that no ash spread out into the community. The TVA told citizens in surrounding communities that the fly ash wouldn't hurt them, even as it "gave out air filters, paid for medical testing, handed out bottled water and held town hall meetings to calm the public. It also paid $27.8 million to landowners, some of them miles away from the spill site, and gave the Roane County coffers $43 million more." Cleanup worker John Cox told Satterwhite he soon started coughing uncontrollably, and his doctor told him fly ash was responsible. But when Cox showed his supervisor his prescription for a respirator, the supervisor refused to give him one. One foreman said he thinks the TVA didn't want workers wearing masks because it would look bad to the public driving by. "They were very, very concerned about public appearance because so many people were watching this cleanup," heavy equipment operator Michael McCarthy said in his deposition for the lawsuit. "They did not want us out there creating concern by wearing respirators, dust masks, anything like that." EPA relied on air monitors at the site to assure the public that everything was fine, but workers say Jacobs supervisors ordered them to water down the mounds of ash to fool the monitors, because high levels of ash could cause EPA to shut down the work site to investigate, endangering Jacobs' performance bonuses. Workers with personal air-monitor devices say they were never shown the readings, and that Jacobs supervisors often handpicked workers in less dusty areas to wear the monitors. TVA safety managers said in a deposition that they had no knowledge of tampering and that Jacobs was responsible for the monitoring process. 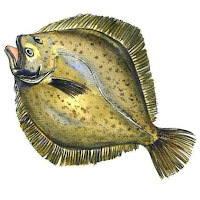 Earlier this month, Commerce Secretary Wilbur Ross dismissed a report from the Atlantic States Marine Fisheries Commission that concluded that New Jersey was violating a conservation plan for summer flounder, also called fluke. "The decision, which effectively allows New Jersey to harvest more summer flounder, marked the first time the federal government had disregarded such a recommendation by the commission, and it drew a swift rebuke from state officials along the East Coast," David Abel reports for The Boston Globe. Congress established the multi-state commission 75 years ago to manage fishing in order to maintain a sustainable supply. The commission lowered catch limits after it found that that summer flounder were being overfished, based on government surveys that found their population was down almost 25 percent since 2010. "If the population falls another 14 percent, reaching a critical threshold for the ability of the fishery to rebuild, commissioners will be required by their rules to reduce quotas drastically or implement a region-wide moratorium on catching fluke," Abel reports. New Jersey, a member of the commission, proposed an alternative plan, but the commission rejected it after its scientists said that plan would result in nearly 94,000 more fish being caught. Ross, who oversees the National Oceanic and Atmospheric Administration, overruled the commission and allowed New Jersey to go ahead with its plan. Members of the commission, fishing officials, and regional NOAA officials were furious. "They said it was unprecedented for a commerce secretary to make a decision without seeking their input," Abel reports. "Such rulings are routinely vetted by NOAA’s regional officials and scientists, who review the commission’s recommendations and then prepare the agency’s response, they said." New Jersey fishermen argue that the commission's recommended limits would have made it difficult to catch and keep any fluke other than the large females that replenish the flounder population. The broader impact of the decision remains unknown. Some fishing officials worry that Ross' decision sets a precedent for states to reject the commission's findings and appeal to the federal government whenever they don't like what they're hearing. And if summer flounder are overfished to the point where the population can't rebuild itself, that could impact the marine ecosystem and the coastal economies that rely on it. All across the country, local officials are trying to get state legislators to cut back or eliminate requirements to buy newspaper advertising about planned or completed government actions, and move the information to government websites. A microcosm of the phenomenon was on display Wednesday in Kentucky, where a House-Senate committee heard from representatives of schools, local governments and newspaper lobbyists. Most from officialdom said they want to keep taxpayers informed, but objected to the cost of public-notice advertising at a time when their budgets are under greater stress, especially in the state's eastern coalfield. "State law requires public agencies, governments and school boards to advertise in the local paper of record notice of meetings, financial statements, pending ordinances and other things like bid proposals," Ronnie Ellis reports for Community Newspaper Holdings Inc. "The intent is allow the public, taxpayers and voters to see how their local governments and agencies are operating and doing the public’s business." But as newspaper circulation has declined and internet use has increased, local officials argue that it would be more efficient and effective to put public notices online "than publishing it in something that seems like an archaic method," Perry County Schools Finance Officer Jody Maggard told the Interim Joint Committee on State and Local Government. He said his district got more than $1.2 million in taxes on unmined coal last year but this year will get only $117,000. Kentucky Press Association Executive Director David Thompson noted that a recent legislative study found that public-notice advertising is about 1 percent of local government and school-board budgets, and concluded that citizens are more likely to see a public notice in their local newspaper than on a website. Al Cross, director of the Institute for Rural Journalism and Community Issues, publisher of The Rural Blog, told Ellis, "National surveys have shown people are not all that interested in going to government websites to look for government information. But if they see it in their newspaper, which has a wide range of information on any two-page spread, they encounter a public notice ad that reveals something about government activity they weren’t aware of – that is the virtue of public notice in printed newspapers." Thompson said KPA has worked with local officials and legislators to revise public-notice laws to make the advertising less expensive, and is "ready to look into solutions." But he noted that KPA already puts public notices from its papers onto a website at no extra charge, and said public notice is an essential part of a "three-legged stool" of freedom of information, the other two legs being open records and open meetings. A study indicates that living in rural areas, especially at a young age, reduces the risk of getting inflammatory bowel disease later in life, reports Amy Wallace of United Press International. IBD is a general category for afflictions such as Crohn's disease and ulcerative colitis, and has become more common in the last 50 years, "particularly in children living in developed nations and in newly industrialized countries experiencing increased urbanization," the study says. The researchers say they've known that environmental and genetic factors can be involved in IBD, but the study demonstrates the importance of early life experiences. "Our findings show that children, particularly those under the age of 10, experience a protective effect against IBD if they live in a rural household," researcher Dr. Eric Benchimol said in a press release. "This effect is particularly strong in children who are raised in a rural household in the first five years of life," when their intestinal bacteria are being established. "The number of very young children being diagnosed with IBD has jumped in the past 20 years. The findings also strengthen our understanding that environmental risk factors that predispose people to IBD may have a stronger effect in children than adults." The study was conducted by researchers at the Children's Hospital of Eastern Ontario, the Institute for Clinical Evaluation Sciences, and the Canadian Gastro-Intestinal Epidemiology Consortium and was published in the July 25 issue of the American Journal of Gastroenterology. Canada has one of the highest rates of IBD. 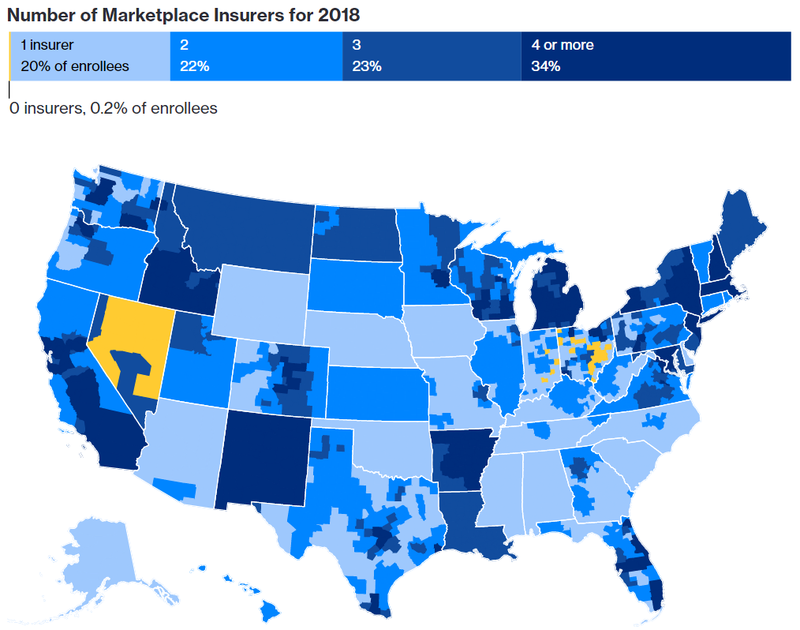 The uncertainty over the future of health-insurance laws and regulations is spooking insurance companies, which may cause millions of Americans to lose their federally subsidized insurance. The risk of that is greater in rural areas. Republican senators are still short of votes to repeal or replace the Patient Protection and Affordable Care Act, and with open enrollment for subsidized policies for 2018 only three months away, insurers don't know whether they'll be able to continue relying on federal cost-sharing subsidies to make ACA marketplace plans more affordable. 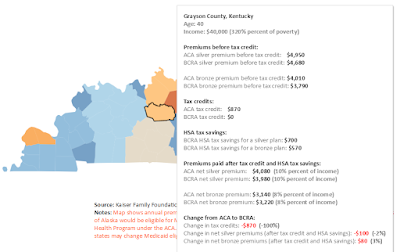 This uncertainty could hurt rural areas particularly hard, since many already have only one insurer offering subsidized plans, and some have none. "Uncertainty about the future of the subsidies has led some insurers to pull out of the exchanges, saying it’s impossible for them to forecast costs. Others have threatened to drastically hike premiums in order to make up for the lost federal funds," Alex Seitz-Wald reports for NBC News. "Time is of the essence, since many insurers have already begun the months-long process of calculating their estimated premiums for next year, which have to be submitted to regulators for approval well before they hit the market." Bloomberg News map shows number of Obamacare insurers in each county. The Trump administration said in April that it would keep funding cost-sharing, but the president recently called them "ransom money," and his appointees could work with Republicans in Congress to eliminate them. 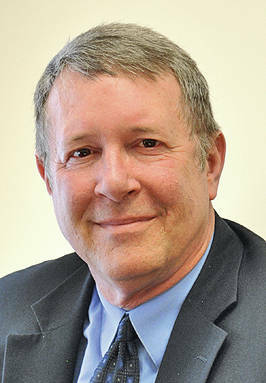 Professor of health policy Kenneth Thorpe of Emory University told The Columbus Dispatch that such a move would be "deliberately sabotaging" the markets. Some states are feeling the pinch. "Just last month, Anthem announced plans to drop out of Ohio’s Obamacare marketplace, a move that would leave more than 10,000 people in 18 counties without access to a federally subsidized insurance plan. Anthem said the 'individual market remains volatile,' saying one reason was 'the lack of certainty' about whether the cost-sharing payments would continue," Jack Torry and Jessica Wehrman report for the Dispatch. After the Senate's original bill failed, a bipartisan group of 11 governors asked Congress to "fix our unstable insurance markets," reports Seitz-Wald. The governors, along with some insurers, want to secure the federal subsidies and leave the long-term issues for another day. The Environmental Working Group has created a Tap Water Database to provide easy access to information about local drinking-water systems. The non-profit, non-partisan organization says it compiled 28 million records from nearly 50,000 utilities nationwide from 2010 to 2015, and catalogued 267 contaminants. Users can type in their ZIP code and see what utilities serve the area, the utilities' water suppliers, what contaminants have been found in the local water and why they're dangerous, and when and how EWG gathered the data for that area. Utilities were given the opportunity to review the data for accuracy, but we recommend that local journalists doing stories based on the data check it with local sources. EWG also published a report based on the data called State of American Drinking Water. The report says that the vast majority of the nation's drinking water has industrial or agricultural contaminants at levels that are low enough to pass muster under the Safe Drinking Water Act or state regulations, but high enough to post health risks—especially in rural areas. "Pesticides and toxic byproducts from fertilizer and manure are found by water utilities in many areas of the country, but are often detected in greater numbers and at higher readings by utilities serving rural communities in places where agriculture has a significant footprint." The report says the Environmental Protection Agency hasn't added any new contaminants to the list of drinking-water pollutants in more than 20 years, so there are no legal limits for 160 contaminants that have been detected in tap water. Of the 267 contaminants detected, 93 are linked to an increased risk of cancer, 78 are associated with brain and nervous system damage, 63 are connected to developmental harm in children or fetuses, 38 may cause fertility problems, and 45 are linked to hormone disruption, EWG says. Almost 19,000 public water systems had detectable levels of lead, which can cause brain damage in children at any amount, EWG says. A federal judge has struck down Utah's 2012 "ag-gag" law, which made undercover filming of livestock operations illegal. Several other states have such laws, so the ruling may bring their constitutionality into further doubt. District Judge Robert Shelby ruled that the law violated the rights of the plaintiffs, the Animal Legal Defense Fund, People for the Ethical Treatment of Animals, and activist Amy Meyer. State attorneys had argued that the First Amendment doesn't guarantee free speech on private property, and said the law protects the safety of animals and workers, Jessica Miller reports for The Salt Lake Tribune. But the judge wrote that lawmakers didn't seem to be focused on safety, and had said that the law was aimed at "vegetarian people that [are] trying to kill the animal industry." "Ag-gag laws target animal rights groups trying to document abusive practices at feedlots and slaughterhouses — but they also make it illegal for journalists to report on livestock operations that may affect the wholesomeness of people’s food or water pollution," Joseph Davis reports for the Society of Environmental Journalists. Seventeen journalism organizations, including the Reporters Committee for Freedom of the Press, filed a friend-of-the-court brief in 2013 arguing that Utah's ag-gag law violated freedom of the press. "The federal court ruling is important because similar laws exist in other states, including Idaho, Montana, North Dakota, Missouri, Kansas, Iowa and North Carolina," Davis reports. "Legally, a district court decision may be of limited precedential value in other federal circuits. But Idaho’s ag-gag law was also held unconstitutional by a federal district court in 2015. That case is now before an appeals court." More states have tried to pass such laws but haven't succeeded. Utah officials have not said whether they will appeal the ruling. The latest report from the nonpartisan, nonprofit Rural School and Community Trust urges state and federal leaders to make rural students a bigger priority. The new edition of Why Rural Matters includes state-by-state data from 2015-2016 on student achievement, state resources, demographics, college and career readiness, and poverty. The report also ranks states by needs in rural education. The state with the greatest need is Mississippi, followed by Arizona, Alabama, South Carolina, South Dakota, Georgia, Nevada, Florida, Oklahoma, and Alaska rounding out the top 10. "While some rural schools thrive, far too many rural students face nothing less than a national emergency. Many rural schools and districts face vastly inequitable funding and simply cannot provide the opportunities that many suburban and urban schools do,” said Robert Mahaffey, the organization's executive director. The 164-page report was assembled by Daniel Showalter, Ph.D., of Eastern Mennonite University; Robert Klein, Ph.D. and Sara L. Hartman, Ph.D., both of Ohio University; and Jerry Johnson, Ed.D., of the University of Central Florida's Institute for the Advancement of Research, Innovation and Practice in Rural Education. Almost 9 million students attend rural schools; more than the enrollments of New York City, Los Angeles, Chicago, and the nation's next 75 largest school districts combined. Half of rural school districts in 23 states have fewer than 485 students enrolled. Half of rural students live in just 10 states: Texas, North Carolina, Georgia, Ohio, New York, Pennsylvania, Virginia, Alabama, Indiana, and Michigan. Overall, rural schools do as well as suburban schools on the Nation's Report Card, but scores are lowest for rural students in New Mexico, Mississippi, Alabama, Hawaii, and Louisiana. Rural America is demographically diverse. In several states such as California and New Mexico, the majority of rural students identify as non-white. Resources for rural schools are often a problem. Many rural districts spend much less than the national average on students, and teacher pay is low. Most of the top 10 "priority" states have fewer than 12 percent of children enrolled in early childhood preschool programs. Nine lobbying groups representing rural interests are protesting Microsoft's push to reserve TV spectrum channels for unlicensed use, John Eggerton reports for Broadcasting & Cable. Microsoft argues that it needs the spectrum to provide rural areas with broadband internet service, but "cattlemen, wheat growers, 'agri-women' and state agriculture departments" wrote a letter to Federal Communications Commission Chairman Ajit Pai saying they need the spectrum because broadcasting is vital to keep rural areas connected to each other. 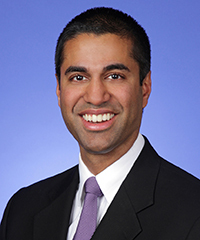 "While our organizations certainly understand the need for improved broadband access in rural America and support the deployment of high-speed broadband in our communities, this proposal will only serve to deprive our members of critical access to local broadcast television coverage," they wrote. Pai, who got the chair through President Trump, has made rural broadband access a main goal of the FCC. Several times in past years, the agency has reallocated space on the broadcast spectrum to make room for more broadband and other services that use the spectrum. This has often been accomplished through auctions in which private companies can bid on the rights to use certain parts of the spectrum. After the auction, stations are "repacked" or moved to different parts of the spectrum to accommodate the new channel assignments. The most recent was on March 30 of this year; stations will have 39 months to move to their new channels. The protest letter says Microsoft's plan to use white spaces will leave less room for low-power TV stations and translators, which rebroadcast signals to remote areas. The letter says those are often the only means rural people have of receiving free TV. "Combining this loss of spectrum for unlicensed use with the sheer number of full-power stations needing to be repacked and the interference protections between neighboring stations, many LPTVs and television translators could be left without a new home and would be forced out of business," the letter said. "When local broadcast stations go dark, rural communities are deprived of a vital source of information that is essential for managing our day-to-day lives." The groups that signed the letter were: American Agri-Women, Intertribal Agriculture Council, National Association of Wheat Growers, National Association of State Departments of Agriculture, National Black Growers Council, National Farmers Union, Rural & Agriculture Council of America, U.S. Cattlemen’s Association and Women Involved in Farm Economics. An investigation by The Boston Globe and its medical and science news outlet, Stat, found that some drug users seeking help for opioid addiction are "pawns in a sprawling national network of insurance fraud." It works like this: Treatment centers pocket thousands of dollars in claims money from insurance companies for each patient, so they pay patient brokers a fee to find addicts who have insurance. The brokers, eager to make more money, promise people free or cheap insurance so they can get addiction treatment. Opioid users in rural areas have much less access to treatment and are easy pickings for such a pitch. The brokers then sign them up for high-payout plans using a phony address and refer them to the treatment center. The fake address exploits a loophole that allows people whose address changes to sign up for coverage without waiting for the end-of-year open enrollment. "They often target certain Blue Cross Blue Shield plans, because of their generous benefits and few restrictions on seeking care from out-of-network treatment programs," Evan Allen and David Armstrong report. "For them, the most attractive plans to exploit are PPOs — which stands for preferred provider organizations. These plans often impose few limits on where people with addiction can seek treatment and often actually pay more for rehab provided out of their coverage area." Patients are often enrolled through the online insurance exchange created under the Patient Protection and Affordable Care Act. HMOs and government plans like Medicaid are "shunned" by treatment centers that use patient brokers, because they limit the geographic area where treatment can be provided or don't pay out as much as PPOs. The geographic factor is important. Because PPOs plans pay more for out-of-coverage treatment, brokers have an incentive to send patients far from home. The treatment centers that engage in patient brokering often offer shoddy or nonexistent care, so they benefit when patients' friends and families are less likely to be able to check in on them. Some patients don't realize they've been the victim of fraud until a billing problem arises or the broker stops paying the monthly premiums. And, stranded far from home, some patients keep using. One Massachusetts woman who was sent to a Florida treatment center said that patients openly used drugs, and that she was required to give urine samples several times a day just so the center could bill her insurance for them. "The whole thing was one big insurance scam," she told the Globe. "I was there trying, actually trying, to do the right thing. It was tough being in an environment like that." Another Massachusetts man, Peter SanAngelo, died of a heroin overdose after being sent to a Florida treatment center by a broker. When his phony insurance was canceled for nonpayment, he left and tried to make it on his own in Florida, but was found dead soon after. Blue Cross Blue Shield confirms that insurance fraud by patient brokers is a problem and they're investigating. A bipartisan group of lawmakers, led by West Virginia Sens. Joe Manchin and Shelley Moore Capito, sent President Donald Trump a letter last week asking him to "spare a loan program he wants to kill and use it to help a $10 billion gas-storage project in the hard-hit Appalachian region of the eastern U.S. where coal had once dominated," Ari Natter reports for Bloomberg. The spending bill up for debate in the House later this week proposes to kill the storage-hub project, which advocates say "would help spur new chemical, refining and other manufacturing industries -- and give out-of-work miners a new career path," Natter reports. The West Virginia senators also introduced legislation that would allow the proposed storage hub to qualify for Energy Department loan guarantees. The states the lawmakers represent have lost thousands of coal jobs in recent years to the natural-gas boom. They say they hope new jobs in the gas industry will help unemployed coal workers. The Appalachian Storage Hub in particular could be a boon to the struggling Appalachian region. The project, which could cost as much as $10 billion, would take advantage of underground caverns in Pennsylvania, Ohio, or West Virginia to store as much as 100 million barrels of ethane, methane, and other gas products. It would require a 3,000-mile pipeline network to link it up to petrochemical plants. Supporters say that not having storage and pipelines has kept the price of gas produced in Appalachia 30 percent lower than what it brings in Louisiana, where natural-gas prices are set. "A report by the American Chemistry Council found the project could create more than 100,000 jobs and nearly $36 billion in capital investment. The project would be similar, though smaller, to the Mont Belvieu natural gas liquids hub just outside Houston that has bolstered that area’s chemical industry," Natter reports. Even without the government storage hub project, "there are initial signs that investment is coming to the region," such as a proposed $6 billion ethane cracker plant along the Ohio River and a planned chemical complex in western Pennsylvania. "His heart wasn't in Florida," writes Freeman, a Burma-based correspondent. But he says Gettleman's stint in Florida was crucial to his development as a reporter—and wonders about the future of journalism. Local news coverage is "more important than ever, but the jobs aren’t as plentiful as they once were, and working at a scrappy local or regional paper doesn’t have the pull that it once had. Nor is it seen as a reliable stepping stone professionally. That’s a significant change, and raises the question of what, if anything, has been lost in the process," Freeman writes. "Gettleman would not be the journalist he is today without that interlude. It makes me think about all the journalists who don’t get the same opportunity today. The chapter on those years is also one of the most enjoyable to read because he’s not a hotshot reporter yet. He’s getting his purple prose excised. He’s being reined in left and right. He’s learning a craft. That’s a beautiful thing to watch." And impatient as Gettleman was to rise in his career, he looks back on his time in Florida with nostalgia. "That job was the best f---ing job," he writes. "It was rooted in the real world. Newspapers, especially small ones, are like that—they’re old school, they’re fact-based, they’re pure. The journalism they practice is less adorned than magazine work; it has less spin than radio; it’s much deeper than TV. Walt Whitman worked at a small newspaper; so did Gabriel Garcia Marquez. Everybody should work at a small newspaper. The amount of life you take in is staggering." 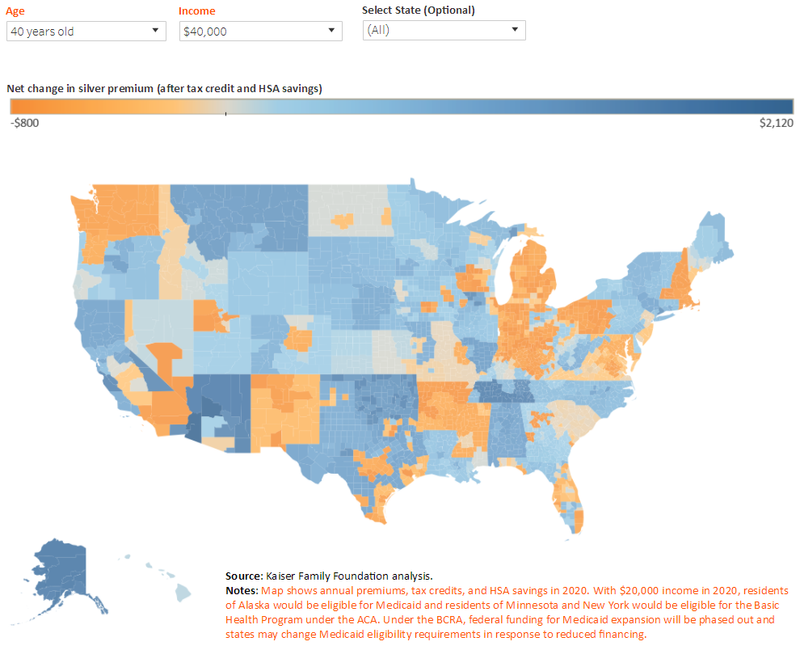 The fate of health-insurance legislation in the Senate remains very much up in the air, but the Kaiser Family Foundation has updated its interactive, county-level map showing how the latest version of the Better Care Reconciliation Act would affect premiums for silver-level Obamacare plans, the type most commonly purchased with tax-credit subsidies. 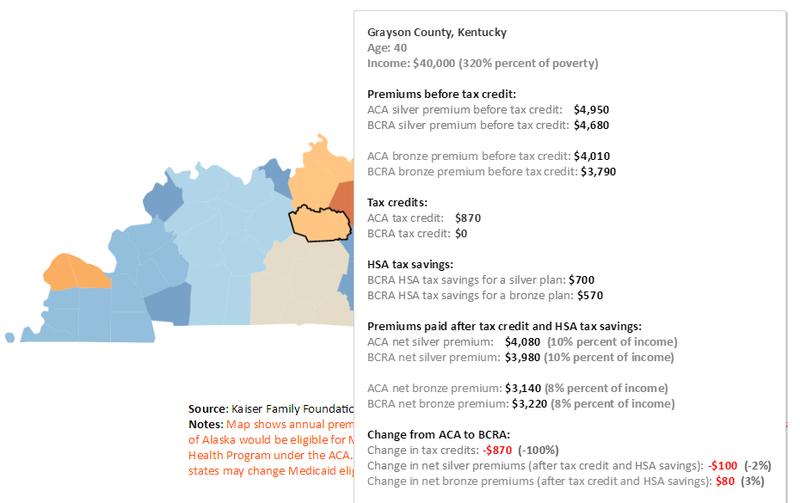 Pop-up tables for each county also show premiums for cheaper bronze-level plans, the amounts of tax credits (or savings from putting pre-tax income into health-savings accounts), and the change from current law. Here's an example of the detail available, showing one county in Kentucky. Click on it for a larger version. As the historic August 21 solar eclipse draws near, towns along the path of totality are bracing for tens of thousands of visitors. "Whatever the biggest event in town is, they are going to get at least twice as many people — and usually more than that,"eclipse chaser and crowd consultant Kate Russo told Deborah Netburn of the Los Angeles Times. "This is not just a science event. This is a human event and something very powerful and life-changing." The eclipse will be the first to affect coast-to-coast America since 1918. 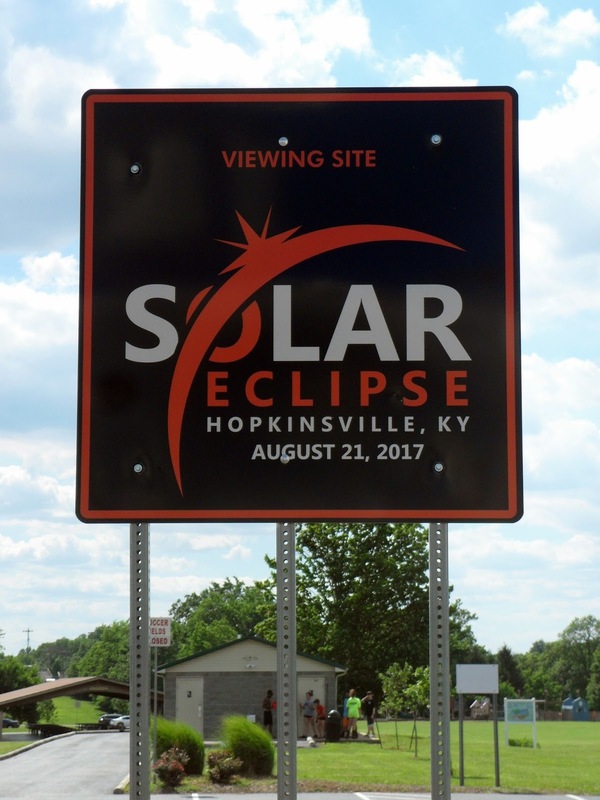 Hopkinsville, Ky., began planning for the eclipse 10 years ago since it is close to the point of greatest eclipse, which means the moon will look the biggest relative to the sun and the eclipse will last the longest. That will draw a big crowd, including some NASA astronomers. The town of 30,000 has employed a full-time eclipse coordinator since last September. 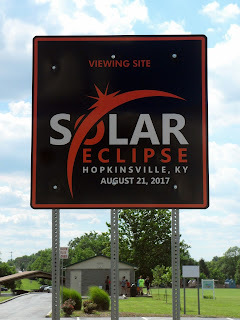 "The community has enthusiastically embraced its role as eclipse central, even adopting the name 'Eclipseville' and painting a mural on the building next to Whistlestop Donuts, an iconic spot next to the railroad tracks that most everyone sees when pulling into downtown," Netburn reports. "It is renting 15-by-15-foot viewing stations in local parks for $30, parking pass included." The city also asked for 85 members of the National Guard to help with anticipated traffic. Since most of the world's bowling balls are manufactured in Hopkinsville, they're planning to produce a solar eclipse-themed bowling ball for the occasion, too. Though 12 million Americans live in the 70-mile swath of totality, where the eclipse will be most dramatic, most of that path goes over rural areas. Almost all public campsites along the eclipse path have been reserved a long time ago, and managers for public lands are worried about the influx of eclipse watchers, reports Zach Urness for The Statesman Journal in Salem, Oregon. "It’s the peak of fire season. Our emergency responders are going to be spread thin. And the forest is going to be filled with a lot of people who don’t camp very often and might have little experience with the outdoors," Jean Nelson-Dean, the public information officer for Deschutes National Forest, told Urness. Park rangers advise those who want to view the eclipse on public lands to get to your viewing spot early, expect traffic to be heavy, don't litter or destroy fresh vegetation, and don't try to climb mountains for a better view if you're an inexperienced mountaineer. One other piece of advice: Watch the weather forecast and have alternate locations in mind. An eclips just isn't the same if it's cloudy. The overall Rural Mainstreet Index, for 10 Plains and Western states where agriculture and energy dominate the economy, experienced the biggest drop since the Great Recession last month, The Associated Press reports. The index "plummeted to 40.7 in July from June's index of 50. The index ranges between 0 and 100, with any number under 50 indicating a shrinking economy." Creighton University economist Ernie Goss says the drop is the largest since November 2008. Drought conditions and weak grain prices were factors in the region's rural economy slump. The confidence index also fell this month, to 38.4, down from 48.9 in June. The confidence index measures bankers' expectations for the economy six months out. Bankers from Colorado, Illinois, Iowa, Kansas, Minnesota, Missouri, Nebraska, North Dakota, South Dakota and Wyoming were surveyed. Pregnant women in rural America are facing riskier pregnancies because of the declining availability of hospital care. Since 2010, 80 rural hospitals nationwide have closed, according to the North Carolina Rural Health Research Program. And hospitals that do stay afloat are often forced to cut programs. Maternity departments are often the first to go, since obstetricians pay some of the highest malpractice insurance premiums. Data from the University of Minnesota Rural Health Research Center show that "more than 200 maternity wards closed between 2004 and 2014 because of higher costs, fewer births and staffing shortages, leaving 54 percent of rural counties across the United States without hospital-based obstetrics," Jilian Mincer reports for Reuters. The Patient Protection and Affordable Care Act was designed partly to help rural hospitals, but the National Rural Health Association reports that unpaid patient debt has risen among rural hospitals by 50 percent since the ACA was passed, especially in states that chose not to expand Medicaid. The recent Senate health-insurance bill's proposed Medicaid cuts would put about 150 more hospitals in mainly Republican-voting states in debt, according to the Chartis Center for Rural Health. And Medicaid is not a big money-maker for rural hospitals. Diane Calmus, government affairs and policy manager for the National Rural Health Association, told Mincer: "The majority of births in rural America are paid for by Medicaid, and Medicaid is not the most generous payer. . . . For most hospitals it is a money losing proposition." What does this mean for pregnant women? Fewer available obstetricians mean it's harder to get an appointment, and may mean a longer drive, which may lead women to miss important prenatal care, Mincer writes. It's also leading to an increase in Caesarean sections, which are riskier and more expensive than a vaginal birth. Rural obstetricians increasingly schedule them, instead of waiting to see if one is needed, because they can't guarantee that a patient living far away will make it to the hospital in time, or that qualified staff such as anesthesiologists, will be on hand 24 hours a day. Teachers in rural communities may have a hard time getting high-quality professional development, but a new concept called micro-credentialing could help them become better educators. Several states such as Tennessee and Kentucky, as well as individual school districts, are piloting these programs in which teachers work on single competencies such as classroom management or collaborative coaching, Madeline Will reports for Teaching Now. Educators prove mastery of the selected subjects by showing samples of student work, videos, and more; they usually receive a digital badge upon completion of the micro-credential that can be displayed on the school website, or the teacher's LinkedIn profile, blog, or online portfolio. It could make a big impact in Appalachia, where teachers are often too far away from the nearest university to take a graduate course, school districts are often too broke to pay for those courses, and the teachers too low-paid to comfortably pay for it themselves. Micro-credentialing "answers a really dramatic need for us . . . There is no interstate highway that touches our region," says Jeff Hawkins, executive director of Kentucky Valley Educational Cooperative, a group of 21 rural school districts in southeastern Kentucky. "We are in an area where it is difficult for us to attract and employ teachers in certain subject areas—foreign language, computer sciences, some advanced sciences. With micro-credentialing, we believe we can work with our department of education, particularly with the division of technology, to have folks become certified to teach computer science programs, robotics, aerospace . . . [so] our students will have access to 21st century coursework." Owsley County, part of the cooperative, has already piloted micro-credentials across the school district. Supt. Timothy Bobrowski says he knows they have many obstacles to overcome, including a high poverty rate and geographical isolation. "We have a hard time keeping our teachers and it's hard to replace them," he says. "If you're a science, chemistry, math teacher and you don't have a family here, you're probably going to take a job somewhere else rather than coming and taking a chance in little America." But Bobrowski has embraced micro-credentialing as a way to help teachers—so much so that he committed $5,000 out of his own pocket to give each teacher a $150 stipend for each micro-credential they complete. Will reports that more than 60 percent of Owsley County's 48 teachers completed a micro-credential in the past school year. A report published last year says that pay or leadership incentives help motivate teachers to do the difficult work involved in obtaining a micro-credential. Coaching and support are important too. Bobrowski says that's one of the reasons he put his own money on the line. "I wanted them to see that it's coming from me personally," he said. "It's a personal way to say, look, I really value this." Rural editor Gary Abernathy writes that he doesn't read many comments about his pieces in The Washington Post "because I’m an old-fashioned journalist who prefers signed letters to the editor, or even phone calls or emails. But friends and family told me that my last Post op-ed apparently inspired a lot of responses ridiculing me and, by extension, editors of small-town newspapers everywhere." So he offers to "explain a little more about small-town newspapers — which I have often said are the last newspapers practicing old-school, non-sensationalized journalism — and in so doing perhaps help the head-scratchers better understand Trump country." "Small-town newspapers report hard news and local political controversies," writes Abernathy, editor and publisher of The Times-Gazette in Hillsboro, Ohio. "They do investigative reporting and in-depth analysis. They win awards from The Associated Press and other media organizations for their efforts." One commenter "surmised that for newspapers like ours," the biggest news is a dollar-store opening, he writes "We have done stories on dollar-store openings. In some tiny communities in southern Ohio, the opening of a dollar store is real news because it means that local residents no longer have to drive 30 minutes or more to buy some important household and grocery items. The reality of life in rural flyover country is lost on those who mock us." Noting a recent Reuters story reporting that people in his area didn't seem concerned "about the Trump-Russia controversy," Abernathy explains, "One reason might be that they have more important things to do than sit glued to cable news. But in addition to the scarcity of grocery choices in some areas, broadband Internet has yet to reach many parts of southern Ohio. . . . The media’s Russia fixation may not be fake news in the way that Trump uses the phrase. But for millions of Americans, Trump’s claim strikes a chord because the Russia hysteria is not real news, either, not compared with the issues that impact their daily lives."